Do you want to acquire and retain more donors? Do you want your existing donors to upgrade their support? Do want people to talk about your nonprofit organization? If you do, then you need to do a more effective job of engaging people and giving them information they will value. And you need to meet them where they are: the Internet. Now, Andrew Wise, Founder of Wise Startup Blog, outlines five valuable benefits your organization can reap by maintaining a high-quality blog site. Wise Startup Blog provides actionable guides that teach anyone how to build, market, and monetize their blog. The main goal of a nonprofit organization is to inspire people to take a stand and make a change. It is supposed to evoke emotion in people in such a way that they feel so inclined to support the organization and/or to go out and advocate a particular social cause or point of view. The inherent struggle that nonprofits face is how they can get their information out into the public in order to elicit that strong reaction. It’s not that there is no one there who is willing to listen. It’s just the opposite, really. According to an article by the Harvard Business Review, over 10 million people dedicate themselves to nonprofit-work day in and day out. Their hard work pays off, too. Americans alone make $373 billion in charitable contributions. But, despite all of the good that is being done, there is still that inexplicable feeling of hesitation that wafts through the air whenever someone discusses a nonprofit. Although there are hundreds of thousands of completely valid nonprofit organizations in the United States alone, there are unfortunately for-profit companies that take advantage of the not-for-profit status in order to receive a tax exemption. If you need an example, look no further than the National Football League who, up until 2014, was labeled a nonprofit organization. The organization, which earned around $327 million in 2013, is only one example of many companies that have hidden behind a nonprofit blanket in order to evade tax costs. Furthermore, countless nonprofit organizations were created with the sole purpose of enriching their founders rather than fulfilling a charitable mission. Occasionally, we’ll hear from the mainstream media about these unscrupulous operators. Because of all of this, legitimate nonprofit organizations have to work harder to prove that they are not only worthy of people’s time, dedication, and money, but that they are worthy of the nonprofit title. The place in which most nonprofit organizations struggle is in their delivery of this information. It can be difficult to educate the public in such a way that informs them of your cause, entices them to donate, and keeps them interested enough that they simply need to learn more. Social media use is on the rise, and the proof is found no further than the number of total users on the most popular social media sites out there right now. With over 1.65 billion monthly users on Facebook, over 400 million users on Instagram, over 320 million users on Twitter, and over 100 million daily users on Snapchat, there is no denying that people look to social media on a daily — if not hourly — basis for their fill of information. Blogging is no different. 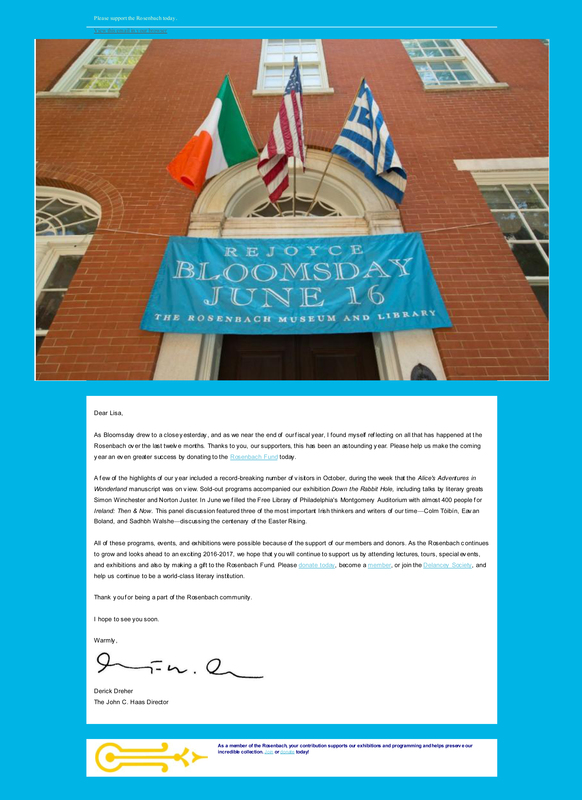 The benefits of starting a blog for your nonprofit organization far outweigh any cons you may be able to think up. 1. Your nonprofit blog can help you rank higher on search engines. If you’ve ever found that to be the case, I have some valuable news for you. 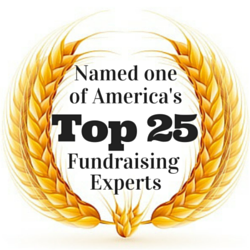 Finding the help you need to improve your fundraising results just got a lot easier thanks to the newly released list of “America’s Top 25 Fundraising Experts,” published by Philanthropy Media and Michael Chatman Network. I’m honored to be included on the list and to be in the company of so many wise fundraising thought-leaders whom I hold in high-esteem. 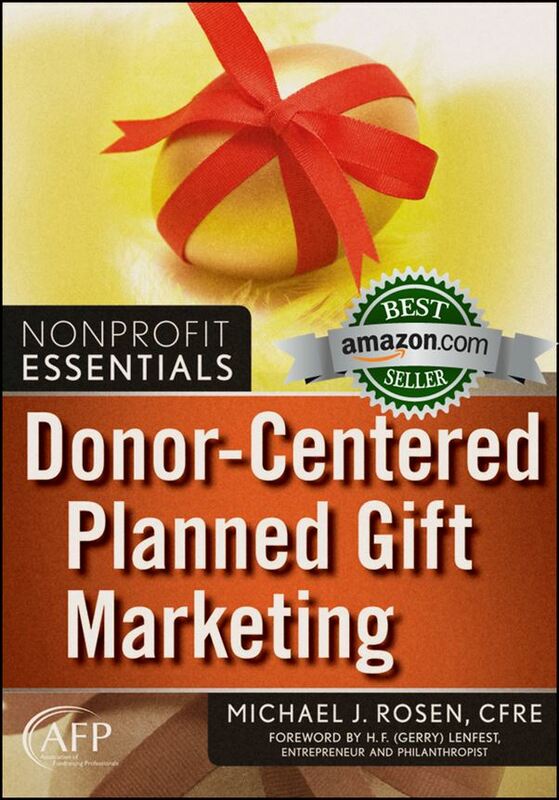 A number of these experts generously contributed helpful insights for my book Donor-Centered Planned Gift Marketing. Folks ask us how we put together the list. Like all of our lists, our readers, listeners, conference attendees and members choose our experts. We survey them through our social and digital media network, and they respond in record numbers. Members of this list of innovative, highly-effective nonprofit professionals are successful fundraising staff or consultants; authors of articles, books, and blogs; teachers of seminars, webinars, and college courses; and professionals who embrace solid fundamentals while exploring innovative ideas. Be Smart. Act Like a Beauty Queen! I recorded the 2016 Miss USA Pageant. I know. I know. But, here’s why: My favorite part of beauty contests is the question-and-answer portion of the show. Sometimes it’s a dud. More often, it’s hilarious. Sometimes, on rare occasions, it provides wisdom. The latter was the case this year. Chelsea Hardin, Miss Hawaii, was asked an inappropriate question. Her response provides a wonderful example for fundraisers facing uncomfortable questions from donors and prospective supporters. While the audience booed the question, it cheered the response.